An Irish Independent Book of the Year. As the great John McGahern used to say, there's verse, and there's prose, and then there's poetry; William Wall is a poet in both mediums' John Banville. 'An underrated veteran at the peak of his powers' Sunday Times. 'It's this mood of lives irreparably spoiled that make this bitter-tasting tale so potent' Daily Mail. Grace and her mother and sisters live on an island off the west coast of Ireland. Their father is a successful writer of travel books that advocate a simpler way of life, though he is so seldom there that his family become the subjects of his social experiments and his children's freedom is indistinguishable from poverty. Grace and Jeannie take turns to look after their little sister Emily. Then one day - Grace's day - a terrible tragedy occurs that changes everything. This is novel about a world of adult self-indulgence and the consequences of careless decisions and dishonest compromises. 'Symphonic in form but written with classical simplicity, Grace's Day is a novel about love and loss, the natural world, and the violent complications of family life. As the great John McGahern used to say, there's verse, and there's prose, and then there's poetry; William Wall is a poet in both mediums' John Banville, Irish Independent, Books of the Year. 'Beautifully written novel about how a family, living on an island off the west coast as a kind of 'social experiment', deal with the tyranny of an often absent and neglectful father and the loss of a sibling' Meath Chronicle. 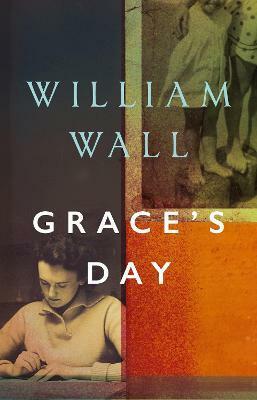 'Wall writes with a lightly worn and beautiful lyricism ... A strong and knowing meditation on the tyranny of writers, whose work hinges on an uneasy balance of engagement and self-preserving distance. As the novel draws to a close, and it is another character's turn to pick up their pen, its hard to know whether we should fear, or pity or applaud them' Sunday Business Post. 'A novel about a family "on the cusp of desolation" and so pervasive and oppressive is the climate of unrelenting misery, it's close to miraculous that the Cork novelist succeeds in crafting something as compelling as Grace's Day. That he succeeds is a testimony to his immense skill as a writer. At a time when neophytes are routinely showered with praise, it's time to appreciate an underrated veteran at the peak of his powers' Sunday Times. 'On both story and style it doesn't disappoint ... Wall unfolds his story with a controlled prose, his poetical skills shining throughout' Evening Echo. 'It's this mood of lives irreparably spoiled that make this bitter-tasting tale so potent' Daily Mail. 'A terrific novel ... Stares directly at the dark side of contemporary Ireland without looking away, or even blinking' David Means. '[Wall] is a powerful writer ... The prose style is punchy and accessible' Justine McCarthy, Irish Independent. 'A genuine literary talent, with a poet's gift for apposite, wry observation, dialogue and character' Guardian. William Wall is the author of four novels, three volumes of short stories and four collections of poetry. His work has won many awards, including the Virginia Faulkner Award and the Raymond Carver Award. In 2016 he won the Drue Heinz Literature Prize.